I'm presently at our home in Germany. I often call it vacation, but it really isn't much different than my regular place in Belgium. Still have laundry, cooking, cleaning, yard work...we do go out to dinner a bit more because it is a lot cheaper here and very delicious. Our views of the mountains and the river are also very relaxing. We're tucked away in the middle of nature which is very refreshing from our urban setting in Belgium. My computer is presently in the shop and I cannot connect to my server so it's been a bit nutty here with little design and scrap time though I have come up with some seriously cool design ideas that you'll be seeing in the future. 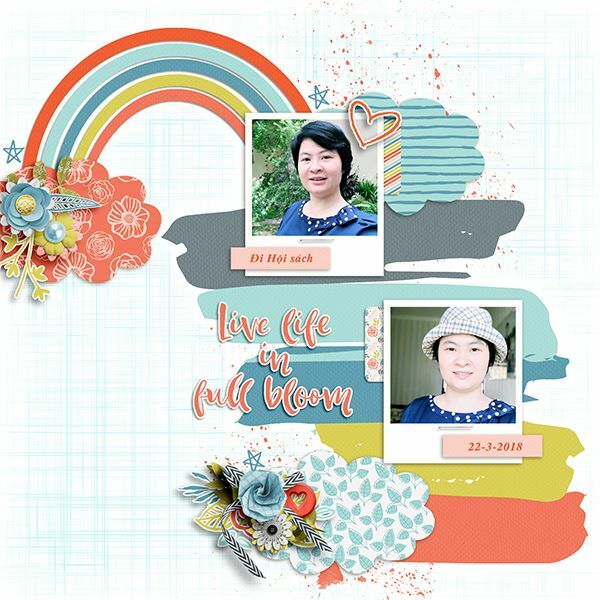 I'm keeping it short and sweet this week and I'm sure you're going to love the new templates and get inspired. Since my computer is in the shop, I had to use some older kits from my old computer for my page. I often forget how beautiful some older ones are like this one from Aimee Harrison. Tammy knocked me out with her page! Just look at these fabulous goodies! 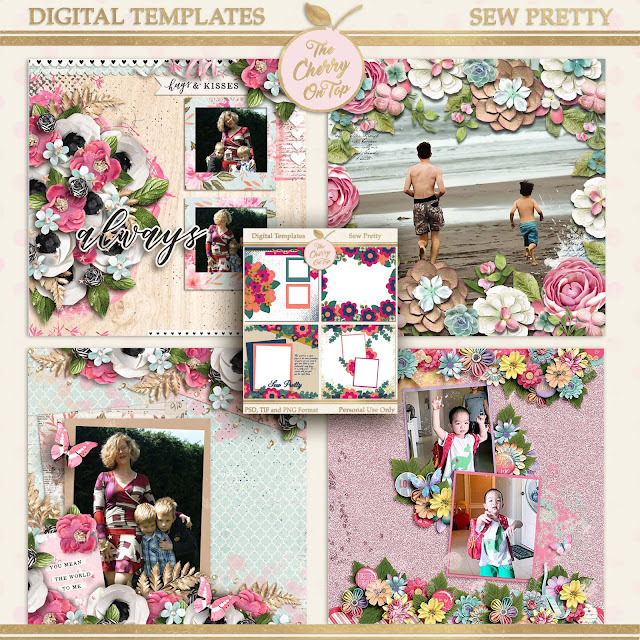 More Sweet Shoppe goodies and a lovely page from Ngoc. 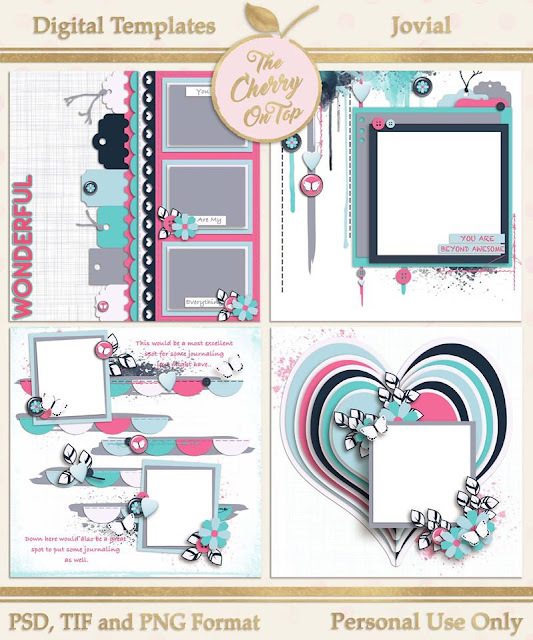 Cassie is definitely a star scrapper and she's also used more Sweet Shoppe Designs. 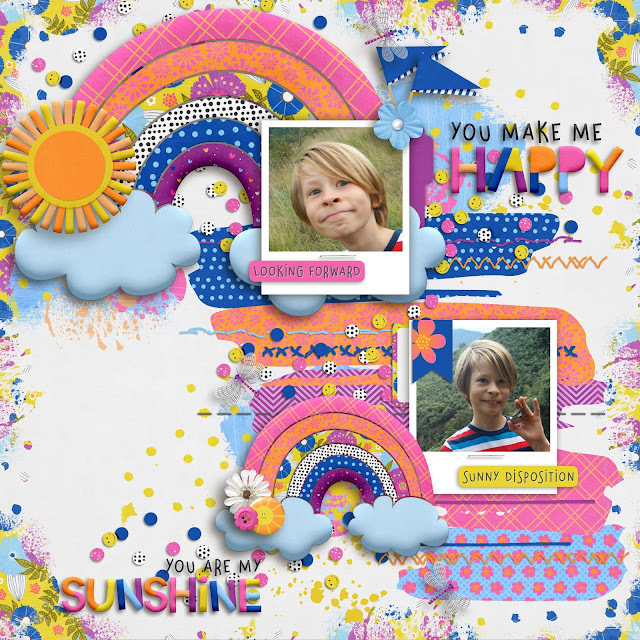 Hilary did a smashing job with these layers and Clever Monkey Graphics. Carol even used our PuurFect kit for her page. BooLand is Jarmila's go to designer for her pages. You can see why. I recently made some new cuttables for in our shop, Kreative Design Studio. 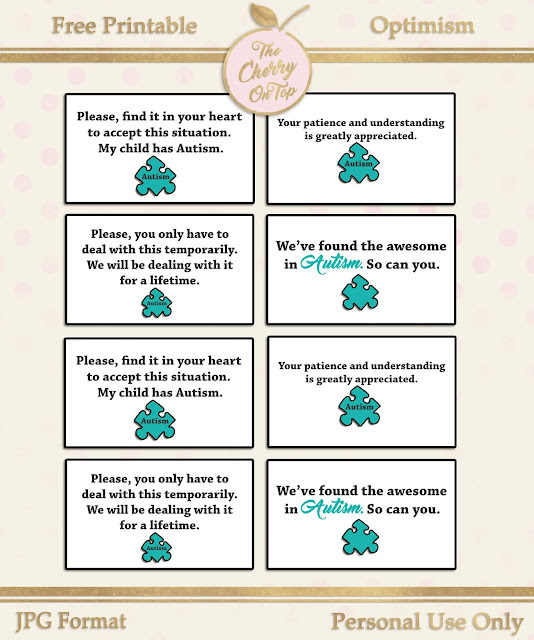 I've got some free printables that might interest you if you also dread going out into public with your Autistic children like we used to. 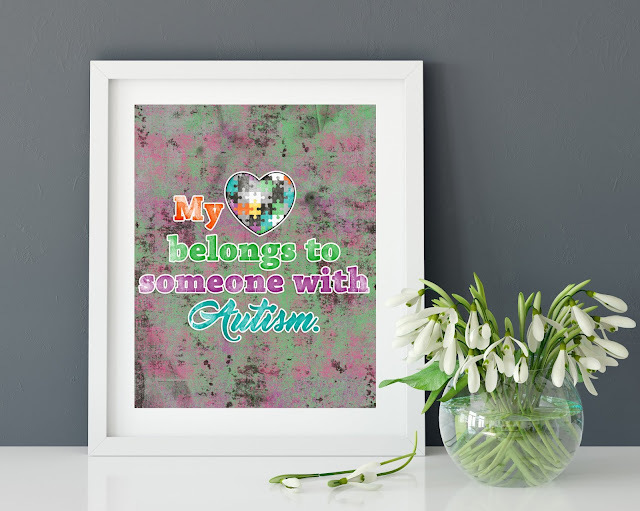 We've got a blog dedicated to Autism if you didn't know. 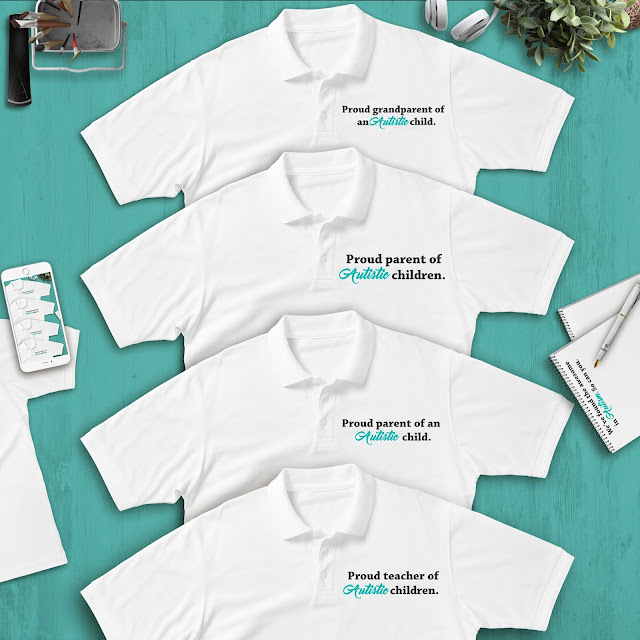 This is the first part of a huge bundle dedicated to mental issues. Pop over to the shop and see what all ya get. I hop you grabbed our newest free template last week? Here is is a page I scrapped up with Sweet Shoppe goodies and Dana's free template. 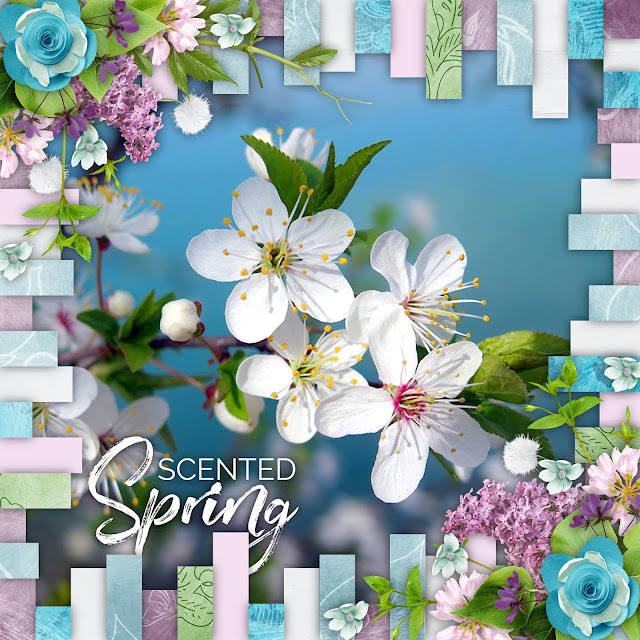 Jodi from Throwing Some Scraps Around also has new templates out. I chose an outline to add to give my page more pop. My niece is getting married soon. So get ready for some serious wedding pages. Hehehe... 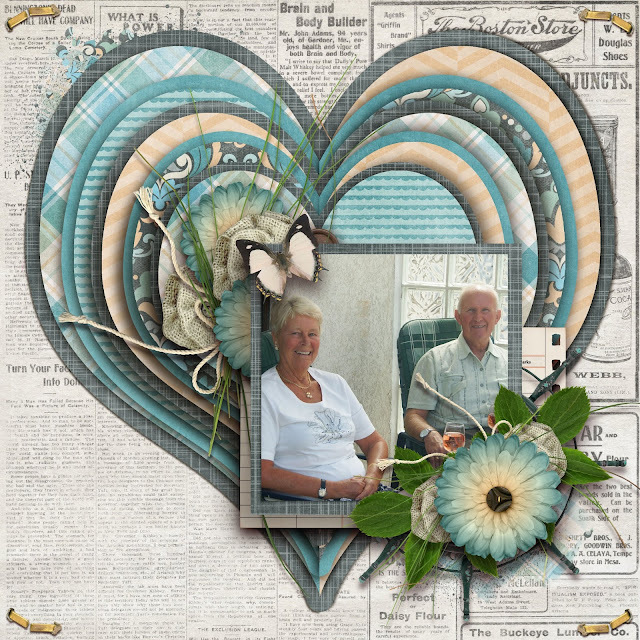 I used Aimee Harrison's new collection, Cherish. 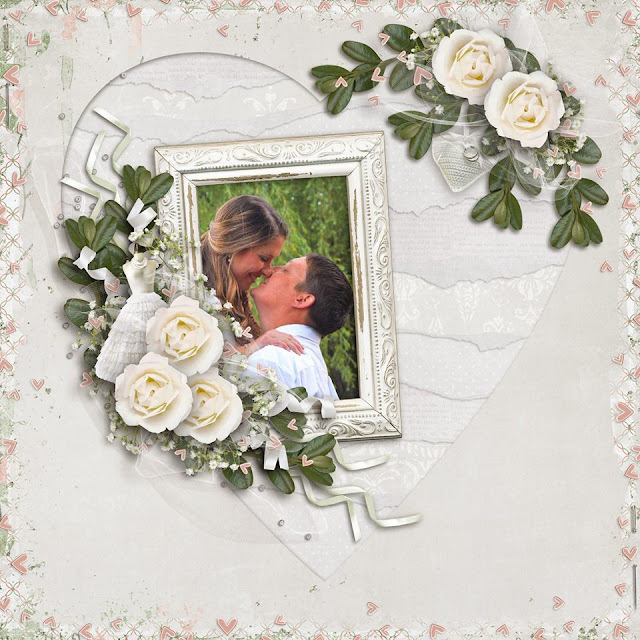 To make sure my page will match my own wedding collection, I kept it nearlly all white with a touch of colours that will also be in my collection. I used my Strip Tease templates, again. 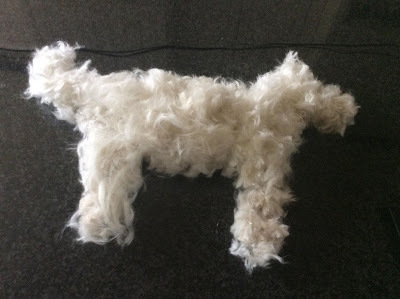 I gave my doggie a trim and posted this funny pic. It was quite popular and I thought my creative peeps might get a giggle out of it, too. The cat version. Both of our pets are pure white so these really made the kids LOL. Thanks so much for stopping by The Cherry. I've got so much on tap. When I return from my "vacation", I'll share it with you. 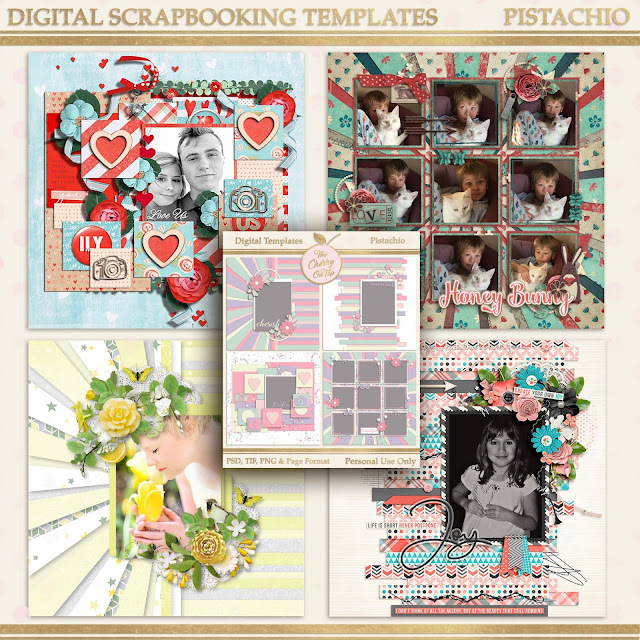 New traditional projects, new templates, new free stuff...See ya next week and as always, happy scrapping. Are you totally excited for this month's blog train of amazing stops? I cannot believe how many stops there are this time around. I know I'm pretty far down the list this month and I'm ecstatic that you still popped over. I hope you decide to visit all of the stops. 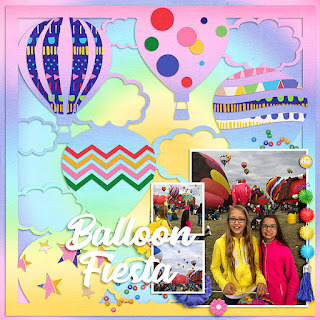 We work hard to provide our readers with quality, fun and easy to use templates. Of course the more love we get on our blogs, the more encouraging it is to stay in these kinds of hops. A big shout of thanks to all of you repeat hoppers, too! 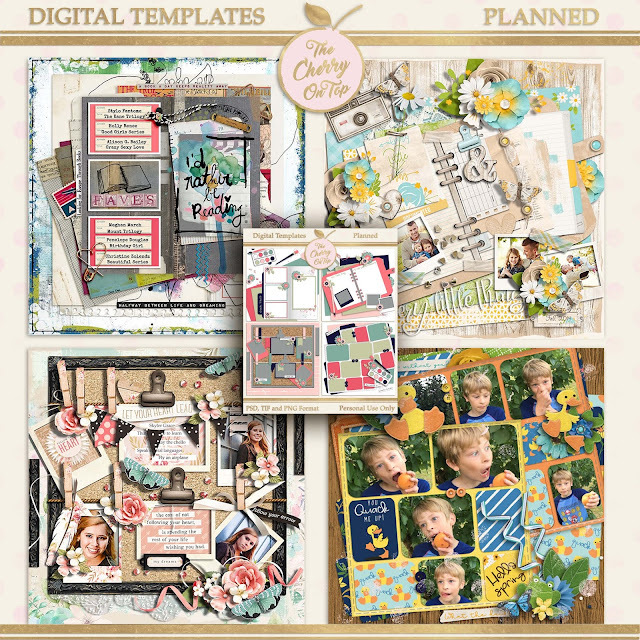 I'm offering a very special deal on a few selected templates so keep reading to find about the 50% off coupons and FREEBIES!!! 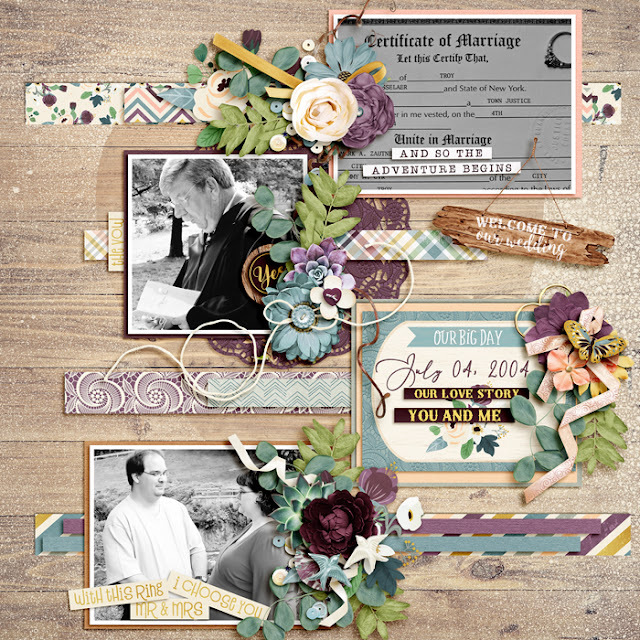 You might have just come from Craft-Tastrophic Designs and your next stop is Antebellum Press. 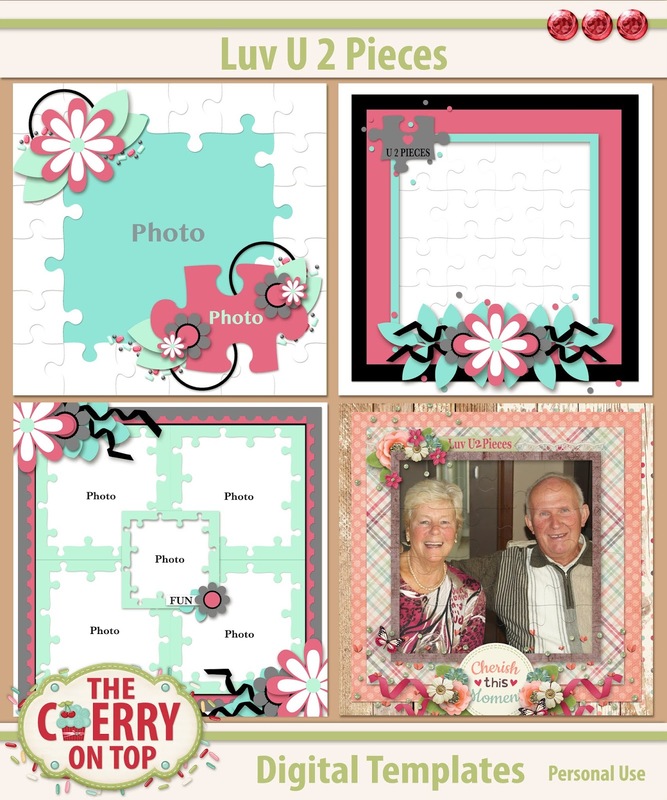 Here are some ideas on how you can use our template. 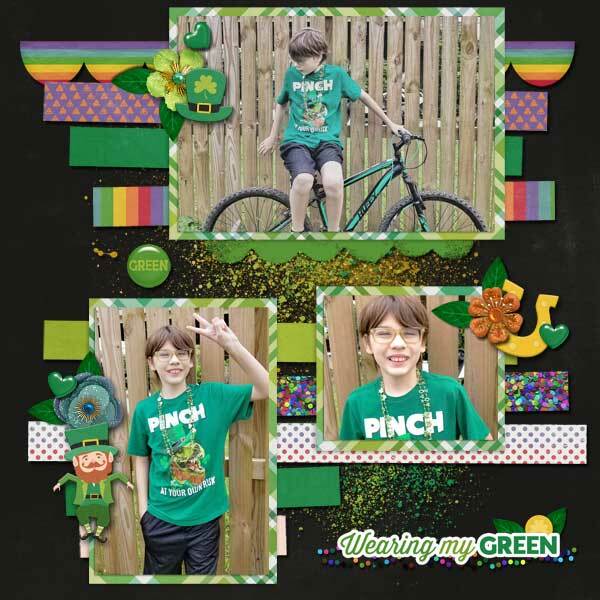 This first one is mine using really fun goodies from Misty Cato. You can find her at the Sweet Shoppe. 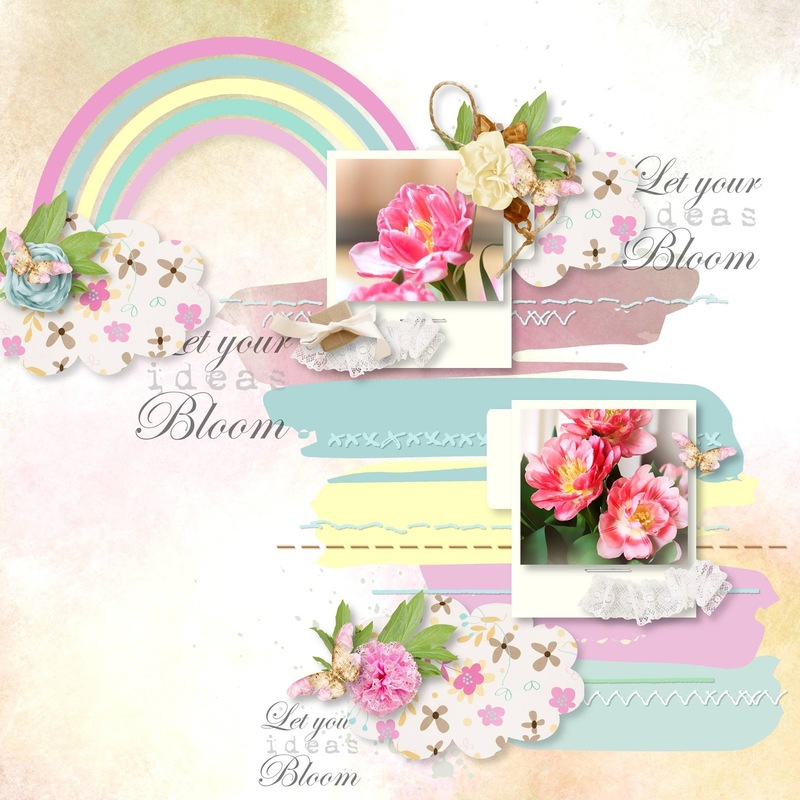 This is Hilary's lovely page also using goodies from the Sweet Shoppe's, Blagovesta Gosheva. 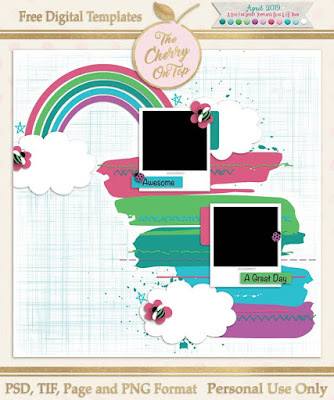 Chris has a fun page of her favorite, little cutie and goodies from HeatherZ. 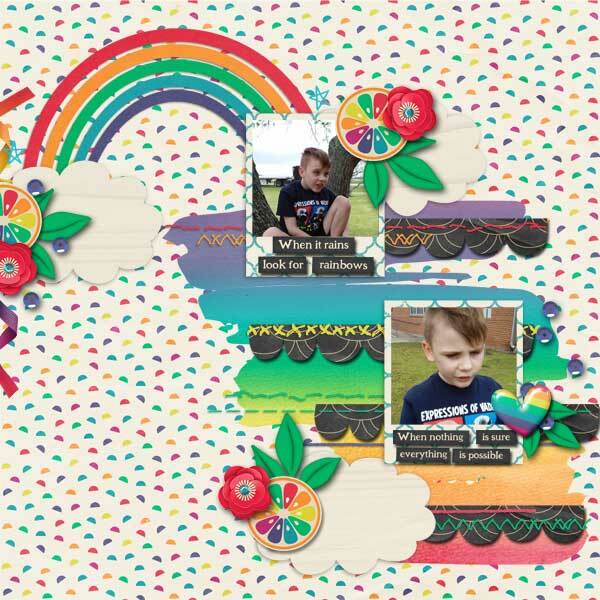 Jarmila made a soft pretty page using products from BooLand. Ngoc even kept our background and worked up some seriously lovely clusters. I'm not going to hold you hostage this month, but I do hope you'll scroll further to see some of our other designs and freebies. Perhaps even consider joining our weekly, very abbreviated newsletter and our other social spots which you can find in the side bar. 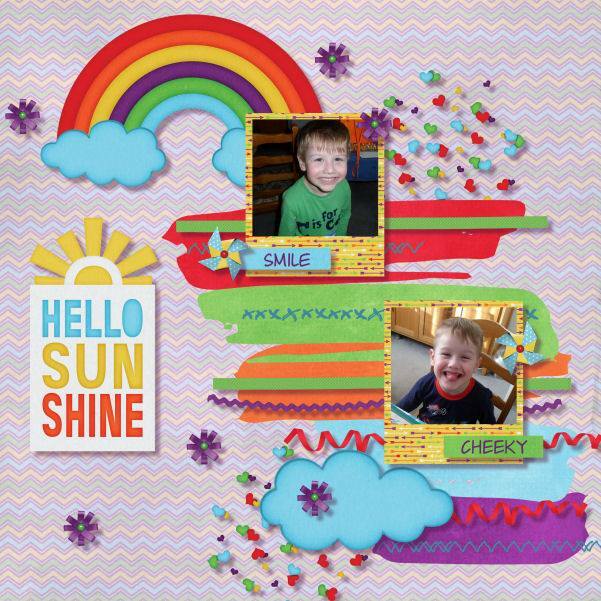 We've got a totally scrap-a-licious group on FB where you are welcome to show off any creative, family friendly projects you design. There are hosted, monthly challenges with freebies. Here's a look at the freebies from the year so far. Some are still waiting to come! If you do play with the templates from the train, consider posting them in our gallery designed specifically for this train and if you get lost and or are looking for the master list, you can find it there, too. 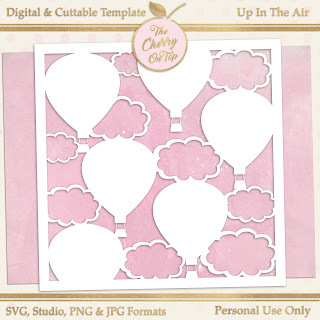 Template junkies scroll on and see some of our most popular templates. I'm even offering a few bonus 50% off coupons to readers for some of these templates. It's a rarity so take advantage and save THIS WEEKEND ONLY! Read carefully to see which templates have a coupon and note the specific code. These are our newest templates and they are a great success. 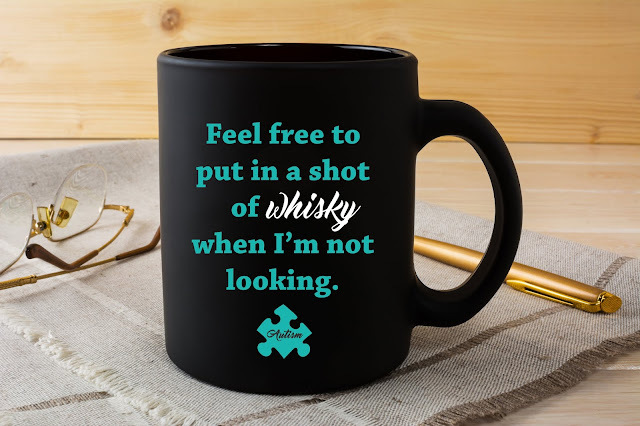 Add them to your stash, today! They scrap up so fast and easily. Get ready to be impressed with your results. 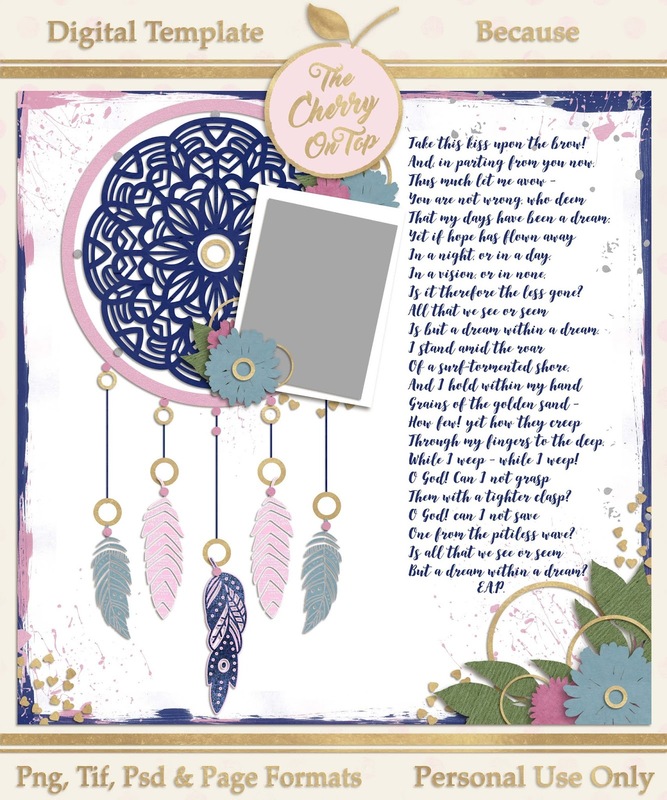 This is also a newer set of templates and I'll give you a coupon for them that you can use this weekend only. There are so many lovely layers to show off your pretty papers. Use this code: STITCH50 This weekend only. I've started a One Word Wonders Collection. 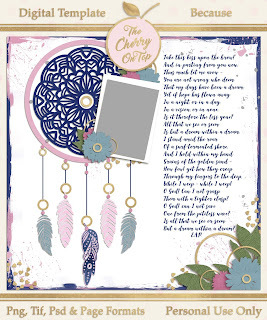 This particular one is from March and in each collection, you'll find a template. 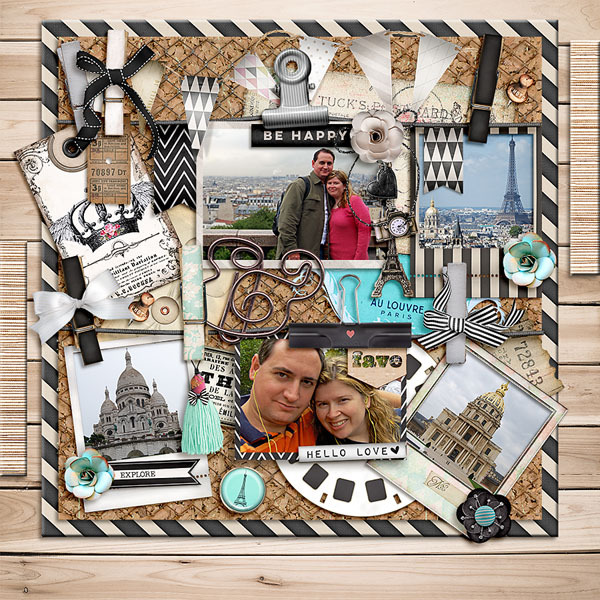 Our first kit and coordinating template is Sumptuous. You can get a peek of it at our shop, Kreative Design Studio. We give newsletter recipients a free mini from each new kit as well as a 50% off coupon. Sign up if you want to be part of this year round deal. 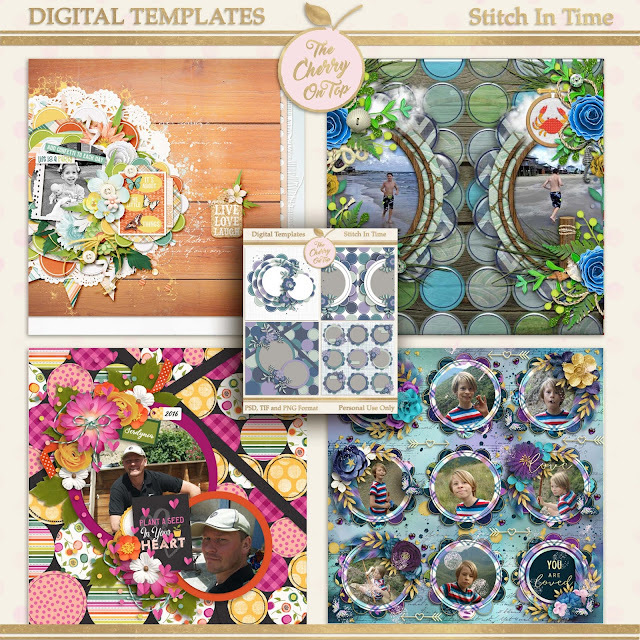 I just find the inspiration for these Sew Pretty templates, exactly that. 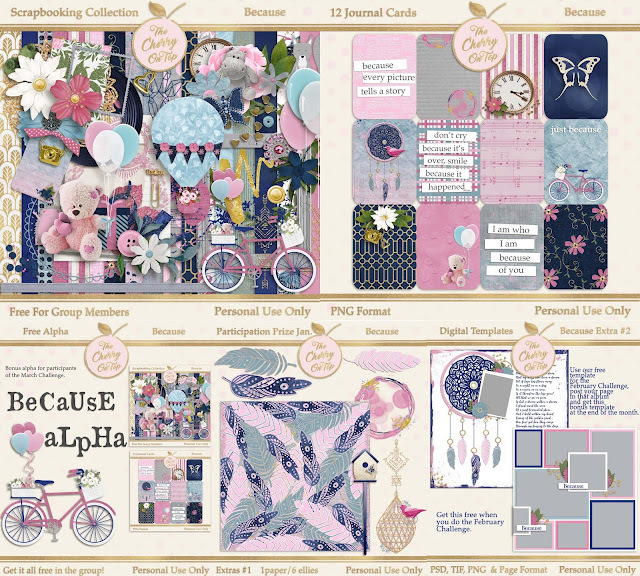 Enjoy a 50% off coupon and add Sew Pretty Templates to your stash. Use coupon code: SEW50 This weekend only. 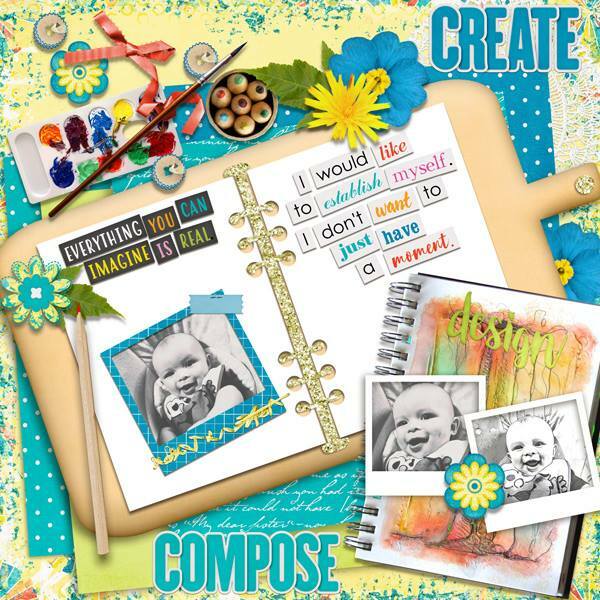 This is definitely a topper pack of templates and I'm giving a coupon for them as well. They are just so extraordinarily fun, I want you to play with them. Use coupon code: PISTACHIO50 for this weekend only. We blog at least every week and though we've not recently been posting hybrid and traditional blogs, the blog is full of these kinds of posts and we have been working behind the scenes on some fantastic new, go get your glue kinds of projects. Stay tuned! Thanks for hanging with The Cherries, enjoy the hop and happy scrapping! 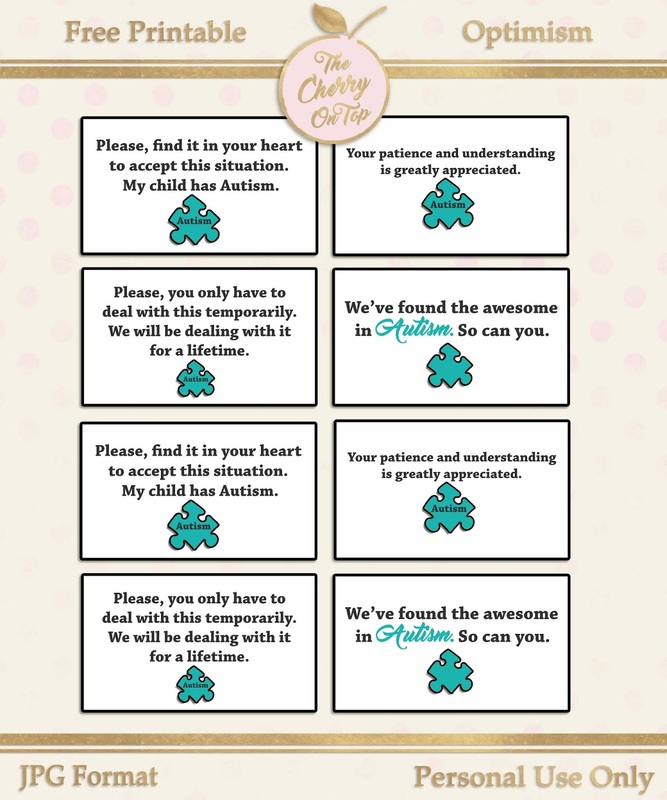 A couple of years ago, I started adding blogs about Autism to The Cherry and then decided to start a new blog, AuSumness. It seemed the numbers of friends and friends of friends that contacted me were not diminishing so I thought it'd be best to separate the two. 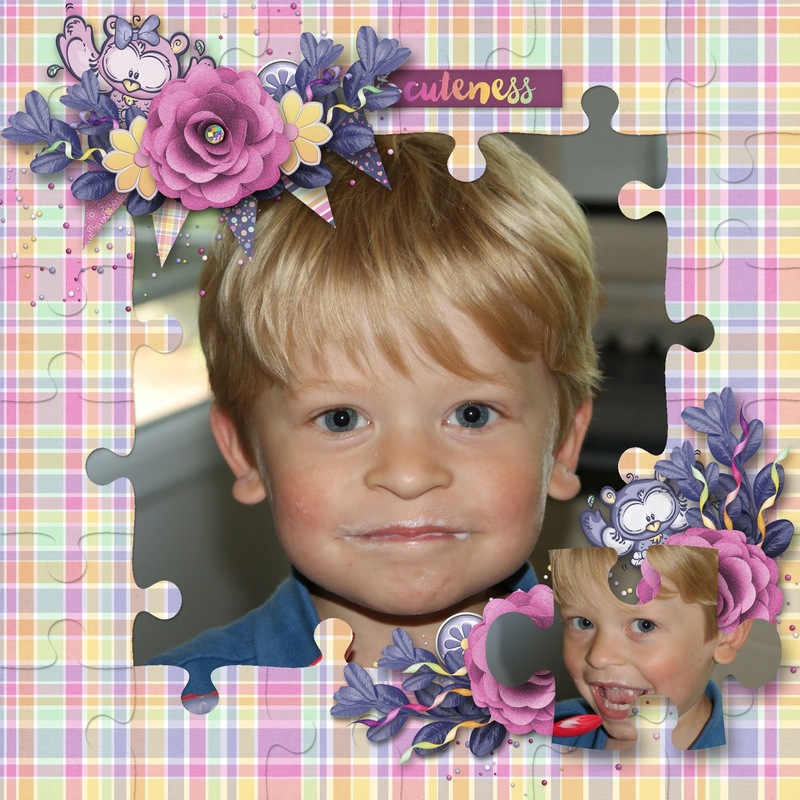 At times, Autism and scrapbooking get all mixed and oh boy, isn't that one heck of a splendid combination. 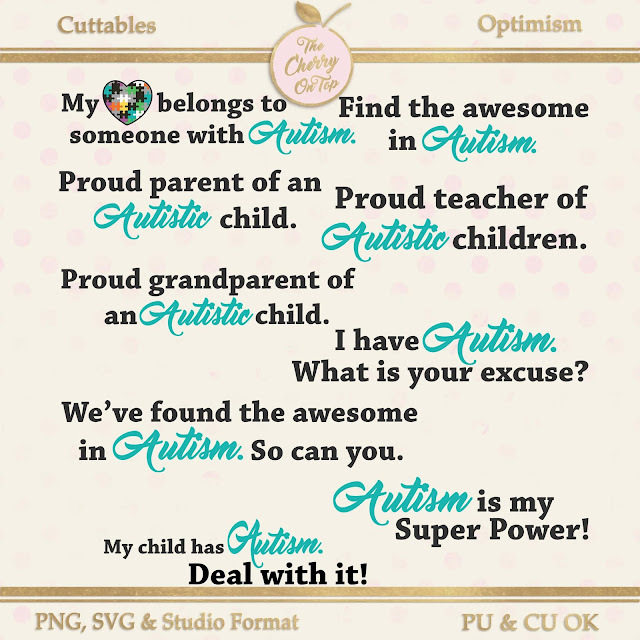 I thought I'd share a bit about them both right here and guide those interested in Autism and my cheeky views on it to our AuSumness blog. I'm in the middle of designing a collection dedicated to mental...issues? I'm not sure what exactly sparked my Acute Anxiety Disorder, but that crap was heavy! I might infer it was my kids and their Autism. Having, let's face it, disabled kids is not easy at all. Being a parent isn't easy. The thought that my child will have to stay at home for the rest of his life is incredibly disheartening and a tough cookie to swallow. Not all parents of Autistic kids will tell you that they wished their kids didn't have Autism, but I will. When I see other kids playing like I used to play. Doing sport, like I used to or just being involved in things outside of the home, I get sad. I wonder if my kids will ever get married. If they will ever drive a car. Ya know, the things most people eventually get around to doing. My youngest won't even get an elementary degree despite his relatively extraordinary intellect and well, that one really gets my gander. So in this collection, soon to be released there will be a dominating palette of black, white and grey. I'm thinking that is how a lot of us feel most of the time. Those of us who are dealing with depression, anxiety, Autism and or any other mental issues. There is also a splash of vivid blue, purple, orange, yellow...because there are also colorful moments in between the gloom and uncertainty. 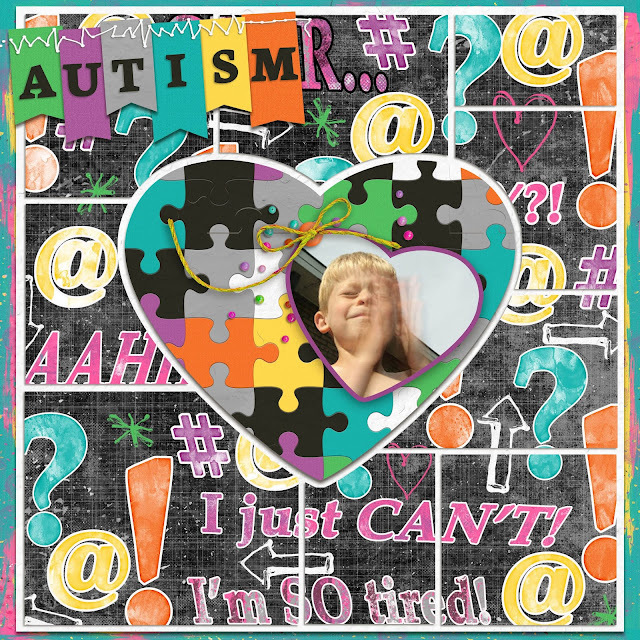 I get frustrated about a lot of things in regards to my kids and their Autism and it comes out a bit cheeky at times and when I post, I always try to put a funny or bright spin to it. There is enough crap going on in the world to bring us down and it's crucial that we don't drown in all of the negativity. We have to keep coming up for air and we certainly do NOT want to bring others down with us. I've recently been contacted by Michael whose site, LittleDoggiesRule has a particular article about The Top Benefits Of Getting An Emotional Support Dog. If you're already a pet lover, you might already be aware of how awesome dogs can be in regards pepping us up when we're feeling down. I've also blogged about pets and Autism is that interested you, click here. 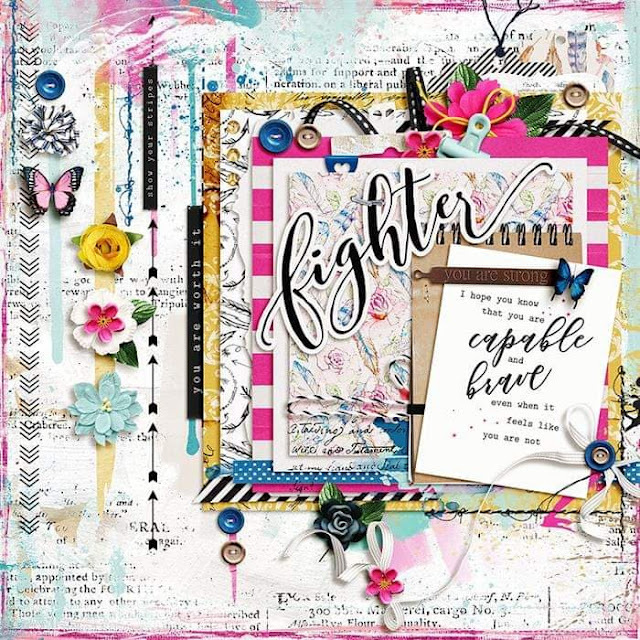 Let me show you some fun and even cheeky cuttables I recently designed as well as share a free tool that might and will hopefully make your life a little bit easier. I call the above example, whimsical because it's a bit playful and fun. This example is a bit more grown up. 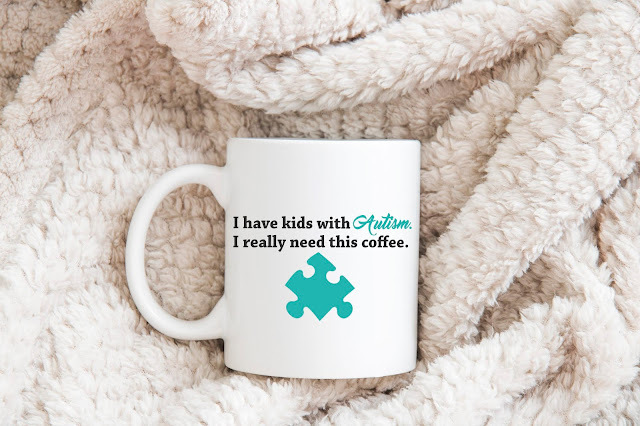 So often, when it comes to Autism it's done with kids in mind and since my kids are now teenagers, I wanted a more sophisticated version, too. 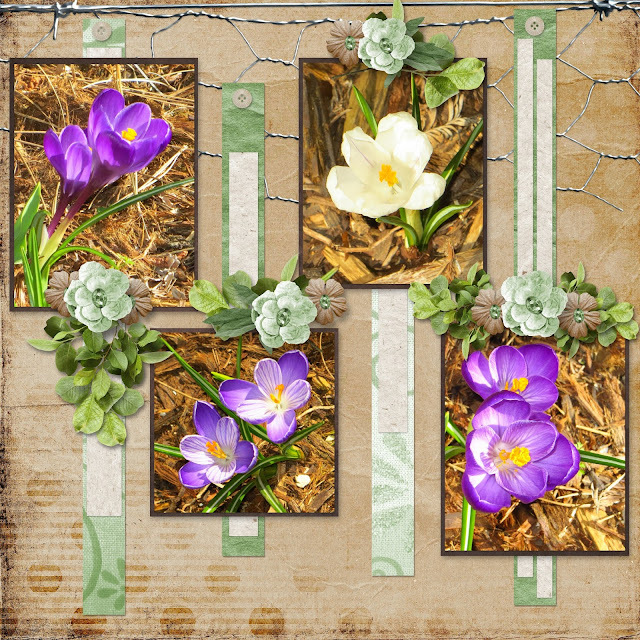 These are the more colorful cards that you can purchase in my shop, Kreative Design Studio. Print them out in your best quality and on good paper. Then cut them out and keep them in your wallets or purses until you need them. These cards came in very handy when my boys were small and I can still use them for my youngest, though not as much. 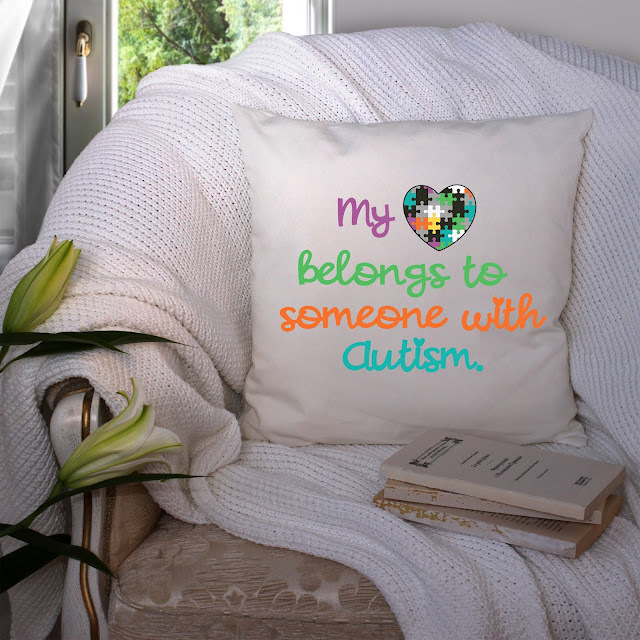 I've learned quickly that a dose of humility goes a very long way when it comes to Autism. I've got a variety of cards for you to use depending on the situation or just how raw you want to get. I always recommend being the example as much as possible. Do not be surprised if someone gives them back to you or even throws them on the ground. Just try to keep on smiling and whenever possible kill them with kindness or wit. I often go over the top with mushy cheer and delight in perhaps what some might call a melodramatic performance and it's always shut them right up. These cards are available for free. I know how well they work in some tough situations. Most people are more understanding once they know the situation. You can check out my opinions on the Ausumness blog. There might be some helpful tips for you to try out as well. 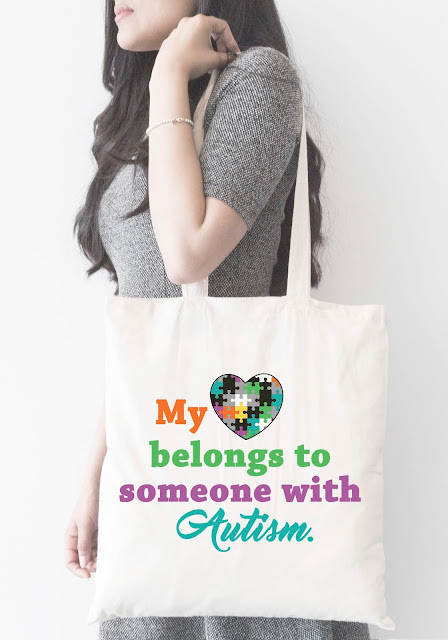 Besides being a full time parent to two teens with Autism at opposite ends of the spectrum, I also have a Bachelor's Degree in Secondary Education, many years of teaching experience in various public and private education systems, a minor in psychology and I'm an avid reader in pursuit of making my family and my boy's lives as happy, fulfilling and healthy as possible. 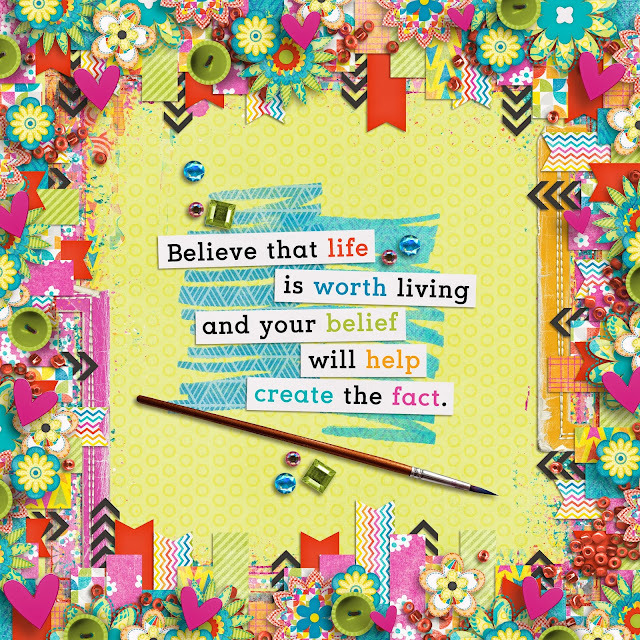 I share anything that works or makes our lives easier. If you are looking for more free tools, don't forget the AuSumness blog. You can find stuff like this there. Some of my most popular posts are, "What NOT To Tell Parents With Autistic Children", "Tips For Feeding Sensory Disordered and Picky Eaters" and there's a lot more there that might interest you. We've also got a board on Pinterest. 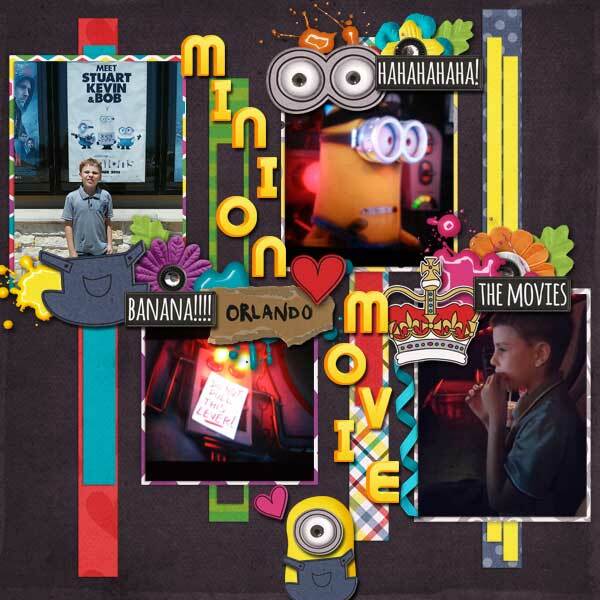 Now, for the scrapbooking part of it. 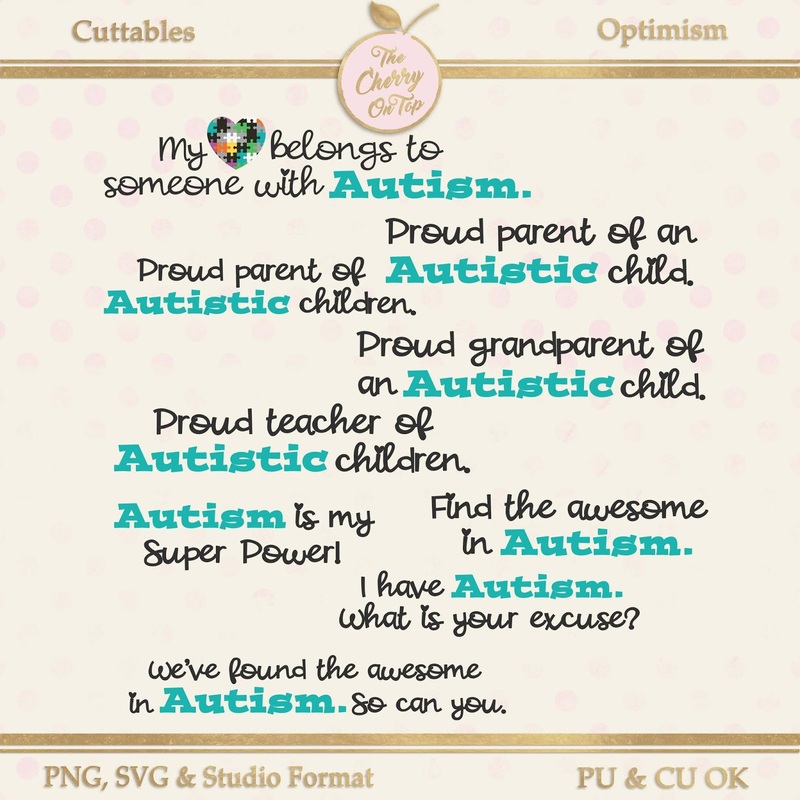 My scrappy sister, Rachelle from Bits N' Pieces has designed some digital scrapbooking templates with Autism in mind. 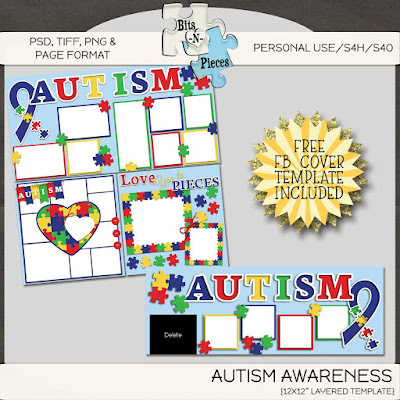 I also have a pack of templates with puzzle pieces that might also appeal to you. This is just a peek at some of the goodies I have ready so far in the collection releasing at the end of this month. That's my youngest, JJ when he didn't mind the camera. Thanks so much for stopping by The Cherry. 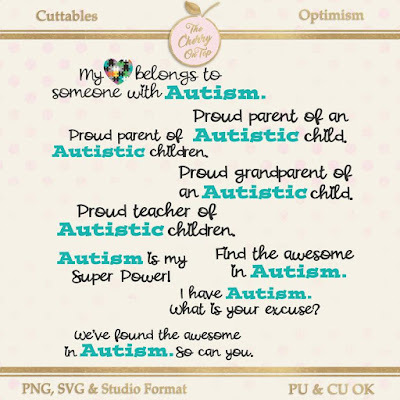 I wish you all of the luck with your Autistic experiences and feel free to join us either scrap wise in our group or in our Autism group, AuSumness on FB. You can share your stories, funny moments, awkward ones or ask question and see if anyone can help. It's always nice to know you are not alone. We've got new templates, several announcements, some freebies to share as well as lovely page inspiration on tap for, today. I'm so, so glad you're here to join us! 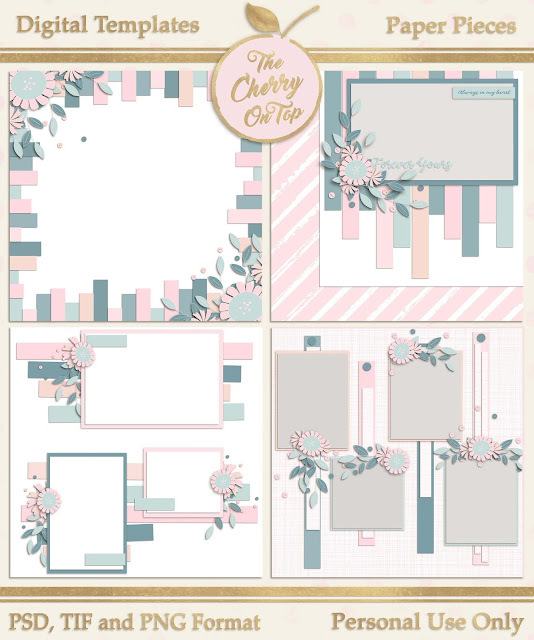 You probably know by now, that I just love showing off pretty papers on my templates and with today's new templates, you can do exactly that. Just look at what I am my incredible team have done with Paper Pieces. 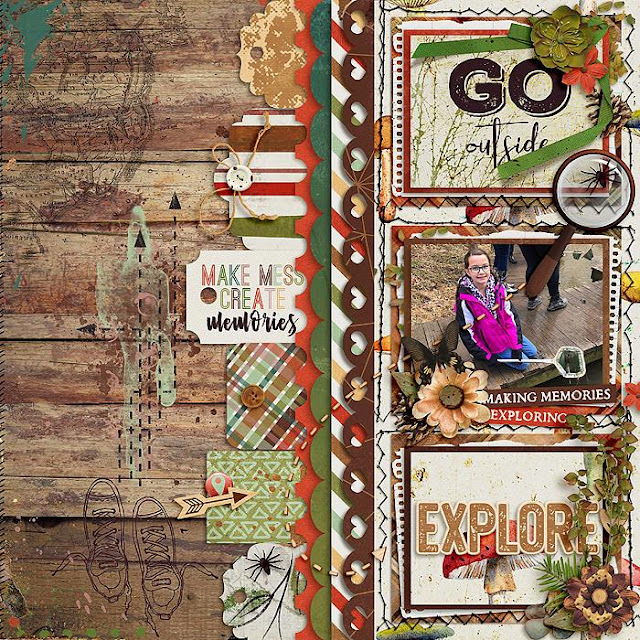 This first page is mine, using Aimee Harrison's absolutely gorgeous goodies 360 April. These colors, though?! When a collection fits the templates perfectly. I love that! 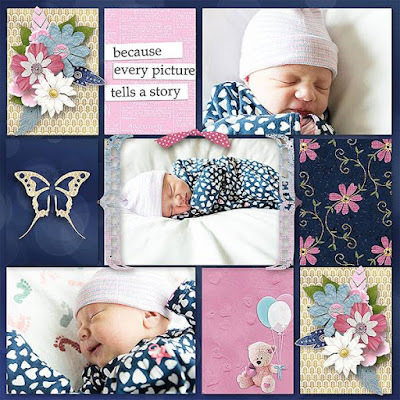 Tammy is kicking it yet, again with another lovely page. These colors, right?! So elegant with a sweet, natural feel. BoHo Wedding looks to be pretty darn spectacular. You can find it at the Sweet Shoppe. I don't know about you, but I can't wait to see the back end of winter pages. Hehehe...This Florida girl is missing the warmth and sunshine, big time. 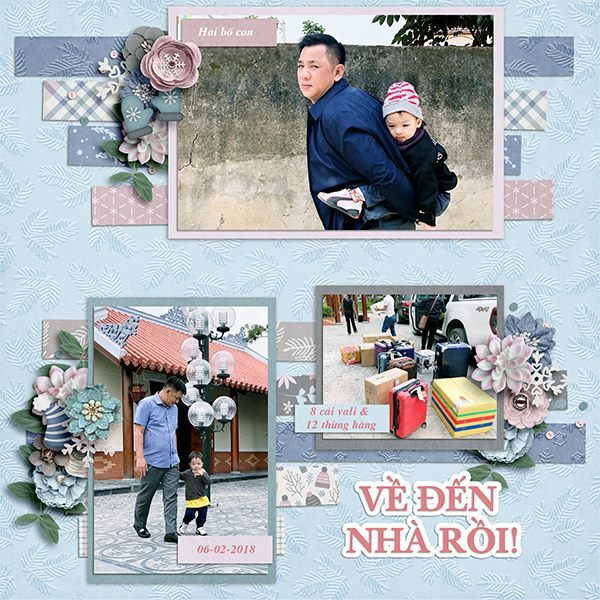 Ngoc's pages are always a stand out. Cold Snap from LJS made a chilly kit still look very pleasing. Throwing Some Scraps Around has new goodies for April out as well, today. Rachelle scrapped her little cutie with them. If this kit from LouCee Creations looks familiar, it's because I showed it off last week. Now, Theresa is using Puddle Jumpers to show off her ray of very wet sunshine. These look exactly like the blooms on our cherry trees. Of course I have cherry trees. Two of them! 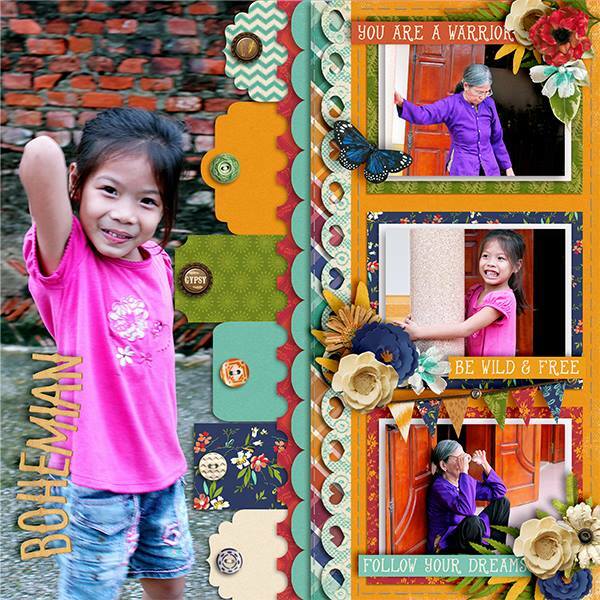 More fabulous designs from BooLand. Hilary also loves bright on black! Retired goodies, I'm afraid. They look so fun! Ah, the romance of it all. Chris's page with Whispy's D'zines. 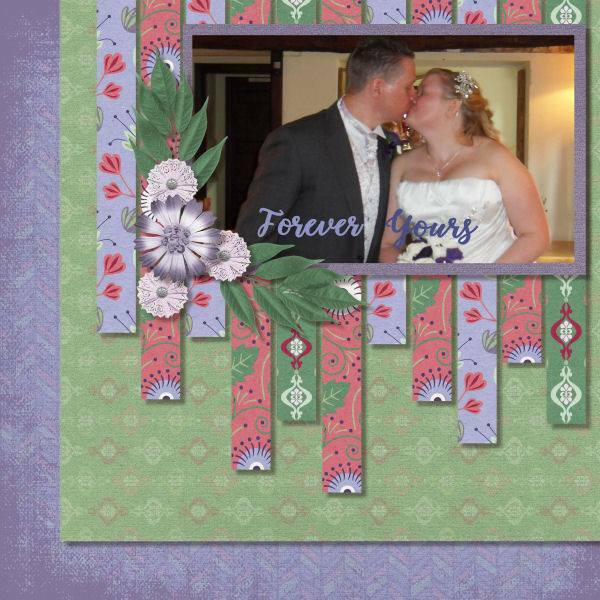 Carol also used BooLand Designs on her pretty page. Mmmm..signs of spring! More bright on black and Clever Monkey goodies from Hilary. These are last weeks templates. They been our most popular to date. Thanks if you were one of those who've purchased them. If not, don't wait to add to these to your stash. They really are a treat to scrap with. I've got some new pages with them from Hilary, Rachelle and Danica. Danica used goodies from Simple Pleasures Designs. They look totally awesome with out Planned Templates. 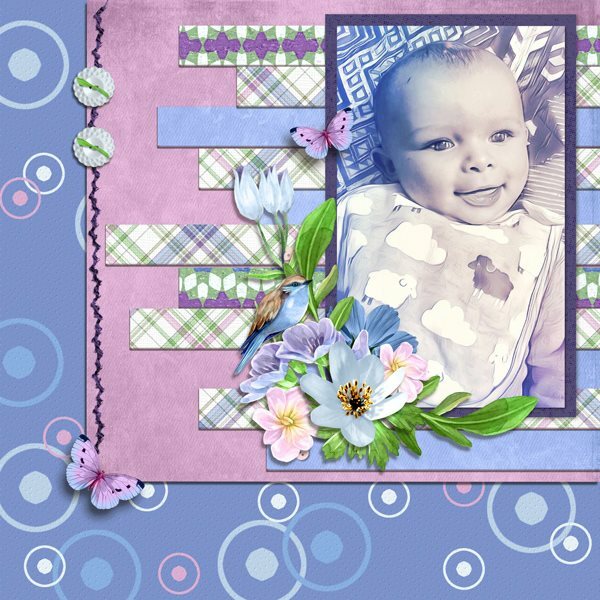 Another lovely page from Rachelle using products from Aimee. It's the same gorgeous collection I used. Cassie's played with my cuttables, Up In The Air. 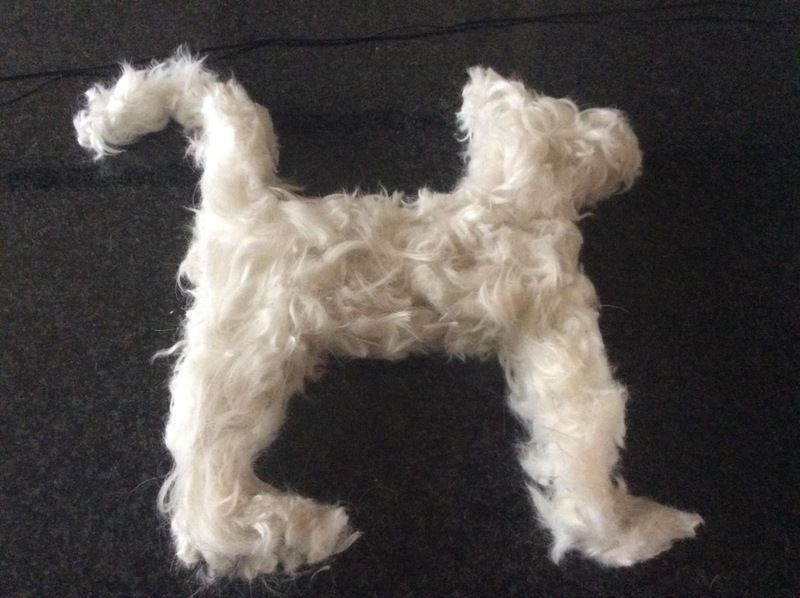 You don't have to use your cutting machines to use them. 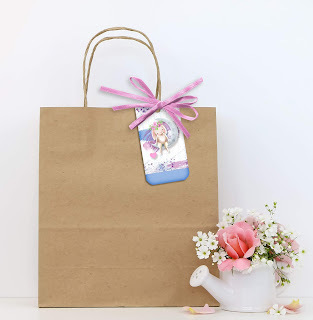 We've got several packs our shop. Pop over to Kreative Design Studio and take a peek. We've got some really exciting ones that I'm packaging up, today. They'll release for Autism Awareness day. 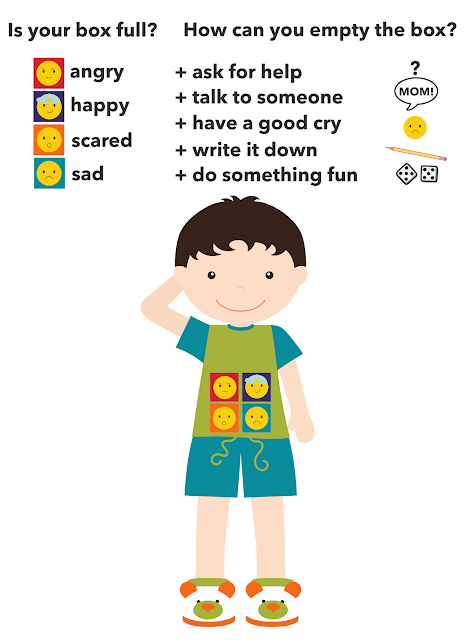 As you know, both of my boys are on the spectrum and I'm working on something that embodies the pain of coping with and or helping others through mental difficulties. I mentioned in the newsletter that a lot of freebies will be surfacing in the near future. 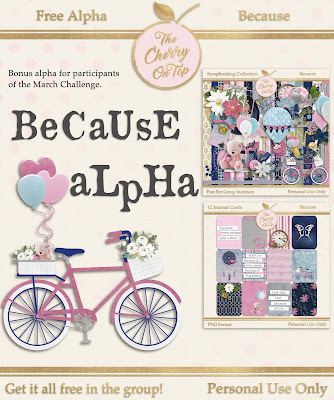 There is a free alphabet for those who participated in our March challenge. For the First of the month, I'll be giving out the second portion of our Because Collection and I know a lot of you are impatiently awaiting this. Hehehe...I didn't mean to torture you! Hehehe...The first part is still available for you in the January Challenge Album in our group. You won't be eligible for any extra's from previous month's, but we'd still love to see your pages. I'm so thrilled about all of the entries! I hope next month's will be even better! Here is February's Challenge and yes, it is still available and will be available all year long. 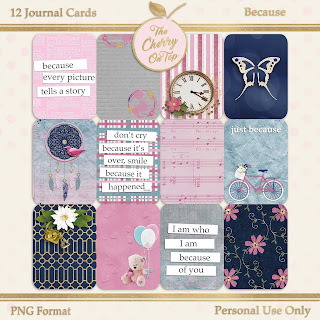 This month, you can download all 12 of theses lovely journal cards. 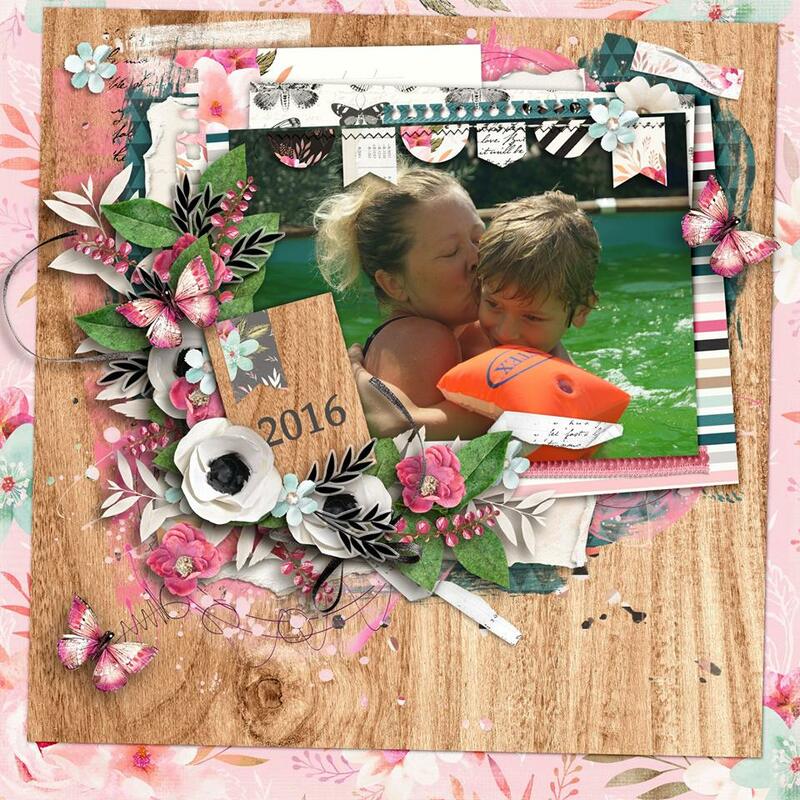 Look at this gorgeous page Lisa submitted to our March Challenge! 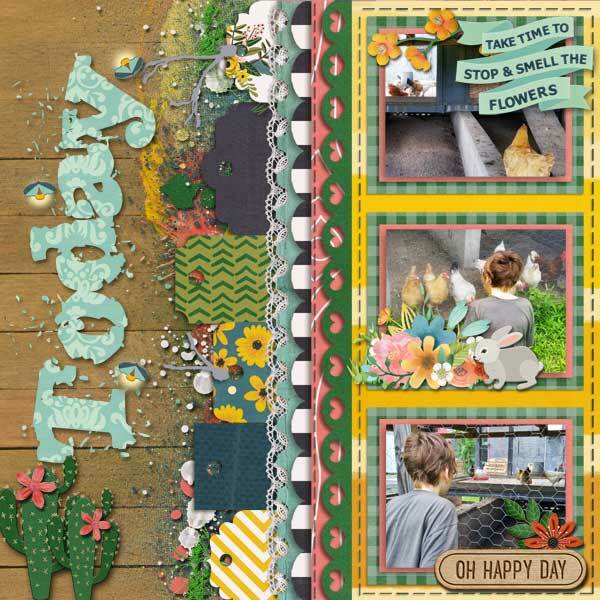 Here's a lovely freebie from Throwing Some Scraps Around. You can find it in her group. 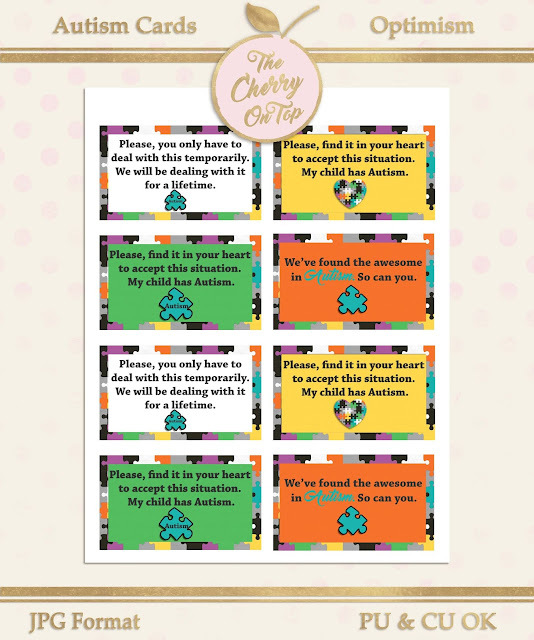 And that wasn't generous enough, Jodi has also added some beautiful, printable tags, too! The next Love For Layout Templates blog train is coming up very shortly and it is going to be beyond awesome. You won't believe how many participants there are for April! You won't want to miss.